Earlier this week, over the course of just four hours, I had two separate client conversations that had me scratching my head and asking: "Who are you doing this for?" The two conversations went something like this. Client #1: "We have all these great product enhancements coming. We've talked to everyone internally, and here's what we're going to be offering going forward." Me: "Did you talk to your customers? Did you ask them what they want, what they are trying to use your product to achieve?" Client #2: "The objectives of our VOC initiative include cost cutting, process efficiencies, and differentiation." Me: Wow. What about improving the customer experience? And what do you mean by differentiation? Client #2: Well, we have this, this, and this. And we do that. And this differentiation is what we're known for. Me: Have you validated that with your customers? You can guess the answers for both Client #1 and Client #2. So here's where I ask: Who are we doing this for? and why? I'm talking about your business. 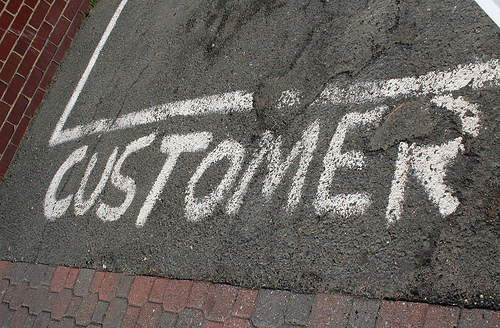 If you're not in it for the customer, what or who are you in it for? If you think you know what your customers want and need, great. Thinking is not good enough. And it's not just what they need. Need can be defined in a lot of different ways. Ask them these questions: "What problems are you trying to solve?" "What are you trying to accomplish?" "What job are you trying to do?" And differentiation? It's awesome. I've written before about being remarkable, standing out from the crowd, and not being a me-too. So, I'm all for it. The thing you need to ask yourself: Is what you consider to be an important point of differentiation actually what is most important to your customers? Is it what they care about? You have no idea; go ask them. Your customers will tell you if you are different, remarkable, or a standout. Then figure out how you'll create a truly differentiated experience for them. It's painful to know that we actually still need to ask these questions of businesses today. What is a touchpoint? And why am I asking that now? Well, you know by now that I tend to have a story or a situation almost every week that inspires me to write a blog post. Today is no different. So, back to my question: What is a touchpoint? There are many different ways that people define it, but in a nutshell, it is a place or point that a customer touches, or interacts, with your brand; those interactions can be in-your-face obvious or they can be those little things that may be less obvious or not as visible. And that is what brings me to today's inspiration. I'll start with the story. Friday night is pizza night with my boys. Last Friday, after their taekwondo class, the boys wanted to go to the Domino's store next to the dojang to order a pizza. We walked in and placed our order. 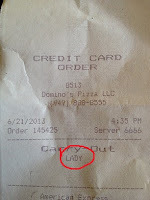 The cashier handed me the receipt, let me know the pizza would be ready in 12 minutes, and went back into the kitchen. The boys asked if they would call my name when the pizza was ready, and I said, "No. 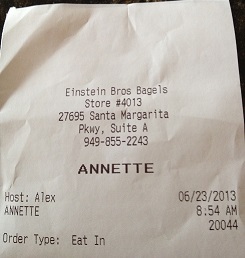 He didn't ask for my name." I brushed it off because we were the only ones in the store, but the thought didn't escape me that he did have the opportunity to ask me my name (or, at the very least, see it on my credit card). "Lady." I had visions of Jerry Lewis saying, “Laaaaady!” running through my head. Well, I guess it could've been worse. (Remember CVS, Radio Shack, Papa John's, and others?) But, guess what? This simple piece of paper is also a touchpoint. They had an opportunity - a moment in time, a brief second, one question - to personalize the experience a bit. To make a connection, if you will, through this touchpoint. Actually, I don't even want to call it a personalization. I want to call it a human touch. Contrast that with another experience. No doubt in my mind whose order this is! Or about who cares about their customers. Domino's has a lot to learn. But the good news is that there's a simple fix here, really. That one simple fix can make all the difference in this situation. Train your employees to ask their customers for their names - and then address them by their names. I would call this common sense, but I'm reminded daily that common sense is not so common. So this particular piece of the process needs to be trained. Isn't the human touch much better than being a number or a "Hey Laaaady!" The most important component of customer experience management is understanding the experience from the customer's point of view. What does that have to do with a picture of my foot (to the left)? Read on to find out! I had foot surgery three weeks ago, and for the weeks that followed, I walked around in what was not-so-affectionately dubbed my "frankenshoe." For a very active person, trust me, it was extremely annoying to be so immobile. As it usually does, stuff like this gets me thinking about the customer experience - and, of course, a new blog topic. During my recovery (the shoe is off now, thank goodness), every step I took required a bit of effort. I needed to plan ahead if I wanted to go from point A to point B (where often point A was my office and point B was the kitchen downstairs! ), pooling all my needs into one trip. This got me thinking about customer effort and the efficiency of processes customers go through to achieve what they are trying to achieve with your business. Why does it have to be that way? It doesn't have to be! The crazy part is that we are all customers, and yet, we still design these awful processes that make no sense. Why isn't it just common sense? In the all-too-often absence of common sense, we need a plan. The customer experience can be immediately improved by reviewing the steps your customers have to go through in order to interact with your company. Not sure where to get started? Well, honestly, it's a pretty straightforward process. Map your customer journey. Walk in your customers' shoes to identify the journey, but walk in their frankenshoes to understand their effort. Listen to customers at key moments of truth. Conduct a root cause analysis to get to the heart of the matter. Surprised that it's a ridiculous process? Don't be. Just fix it now that you're aware of it. Act on the feedback. Improve the processes that they say are broken or cumbersome. Map your internal processes. Look at your behind-the-scenes process, too; likely they are a burden to your employees, which then trickles out to your customers and their experience. Process improvement must be a part of your customer experience toolbox. It's time to remove broken, outdated, unnecessary, or cumbersome processes that inhibit or hinder the customer experience. How Can You Turn Ordinary Customer Service to Extraordinary? 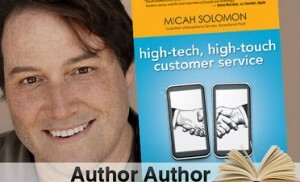 There are a lot of great books out right now about customer experience management and customer service principles. I've read many and have mentioned or reviewed a few here on my blog. 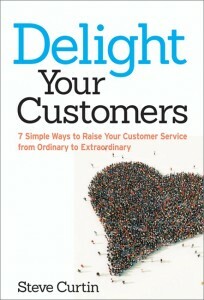 That brings me to the topic of today's post: Steve Curtin's new book, Delight Your Customers: 7 Simple Ways to Raise Your Customer Service from Ordinary to Extraordinary. Why do we need yet another book on this topic? Well, I think we all tend to come at this topic from a different perspective or a slightly different angle. Steve doesn't disappoint with his book; it is certainly written from a fresh point of view. And it's packed with a lot of details and comparisons to help you understand what is ordinary and what is extraordinary. It reflects the essence of the employee's job role. It is always voluntary - an employee chooses to deliver exceptional service. It doesn't cost any more to deliver than bad customer service. It's not hard to see that we are reminded of these truths through every chapter that follows. The subsequent chapters define the seven principles he mentions in the title of the book. They truly are, well, quite simple to grasp, but each chapter is chock full of details and examples of how the concept moves your service from ordinary to extraordinary. Offer sincere and specific compliments. None of these are difficult to understand. Frankly, they're so simple that they should be labeled common sense. But we all know how I feel about common sense. Having said that, it's all worth repeating, and Steve does an excellent job. I enjoyed reading this book. The overall concept is well though out and clearly outlined. Each chapter is devoted to the seven ways to raise ordinary customer service to extraordinary, and each chapter ends with a summary of how that chapter's characteristic does exactly that. Steve also provides a space for you to fill in your own thoughts, ideas, and examples of how you might apply the principles from the chapter, making it a handy guide and a workbook to help you turn his words into action. Note: Steve sent me an advanced copy of the book; some of the contents may have changed from the manuscript to the final copy, which can be purchased on Amazon. You can see a book trailer video here. If It's Essential to a Good Experience, Why Hide It? 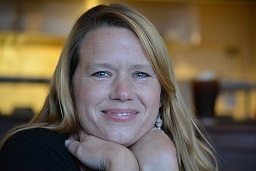 Today I'm pleased to present a guest post by Jen Maldonado. My one-woman campaign to defeat what I’ve termed “Gilded Fork Syndrome” was borne out of frustration (and no small amount of sarcasm) while wearing my consumer hat at a certain coffee shop chain near my office. Short story long (bear with me; it ends well), I sat down to eat my just-purchased fruit cup after enduring a long wait to order it in the first place, only to realize I had not been given a fork to enable me to do so. I quickly apologized to the friend I’d met for lunch and excused myself to set off on what would become nothing short of a treasure hunt. Were the forks on the counter near the register? No. Were they somewhere tucked away near the prepared foods in the refrigerated case the fruit came from? Nope. Were they over at the condiment stand beside the sugar and cream for doctoring up the coffee? Nu-uh. Were they atop ANY flat surface at ALL in the shop where other, clearly less-prized, items like napkins, stirrers and lids were being made readily accessible to paying customers like myself? No-sir-ee. Huh?? Speechless, I thanked him and returned outside to the patio table where my patient friend awaited me and had somehow resisted the urge to send out a search party during my prolonged absence in pursuit of this elusive implement. In all seriousness, why on earth would an eatery take something so essential as a FORK and stash it away somewhere completely inaccessible by its clientele? My purchased product was already in hand; I just couldn’t consume it in an elegant fashion without this tool designed to facilitate its delivery. Granted, I could have gotten by with a crude workaround such as eating with my fingers like a caveman. Certainly the caliber of the meal itself would have remained unchanged despite the two methods of intake being markedly different – just as my likelihood to return or recommend would have been despite the identical quality of the purchase in question. 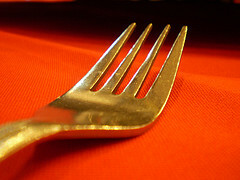 In fact, even though I ultimately got my hands on that figuratively gilded fork just the same as if it were presented to me up front, the difficulty encountered while hunting it down managed to degrade my experience nonetheless. Just goes to show, sometimes it’s not only the end state that matters, but also the means to that end and how painless it was getting to where X marks the spot. So, what trove of useful tools is each of our companies making its customers hunt for? What are we hiding away under lock-and-key that could potentially facilitate a more elegant experience with the products or services that we represent? Few things are simultaneously more appreciated and resented than being provided with a quick tip, lesson learned, or best practice that immediately simplifies and improves your experience, only to make you wonder why in the world you had to make do for so long without it. Tracking down such buried treasure in our own organizations and proactively surfacing it to our customers will bring rewards to all! Jen Maldonado has 15 years’ experience in B2B customer relationship management, and has served in fully dedicated Customer Experience Management roles for the last 6 years. A Certified Net Promoter® Associate, she is passionate about integrating the Voice of the Customer into decisions large and small, and about celebrating the successes of team members who deliver delightful experiences. 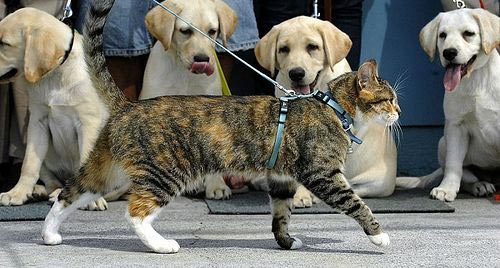 Is Your Leadership Style More Like a Cat or a Dog? There are cat people, and there are dog people. But when you think about your leadership style, are you more like a cat or a dog? Never thought about cats, dogs, and leadership in the same sentence? Honestly, I hadn't either. Then I had an "a-ha" moment. A couple days ago, I was watching a cat-and-dog video, and I made the connection. 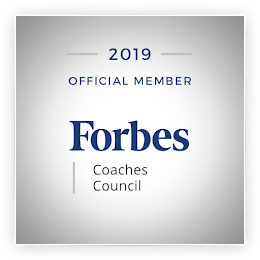 The timing was great: it was right after I published my post about leadership strategy in conjunction with employee experience and employee engagement. The leadership strategy entailed "creating the right conditions to allow employees to become engaged." So back to the video and the connection I was making. Let's first take a quick look at that video, and I dare you not to smile! Loyalty: she stayed with her puppy and didn't leave him in times of trouble. Encouragement: she encouraged him to keep trying and was quite persistent at that. 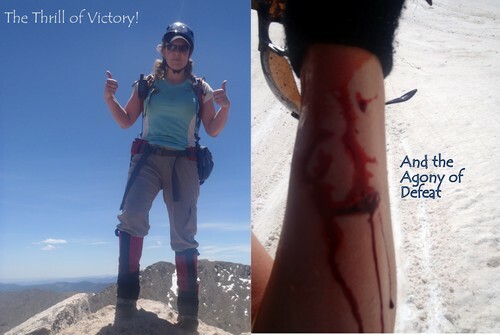 Acknowledgement: she recognized that the pup needed help, and she acknowledged him for achieving his goal. Direction: she provided step-by-step (literally) guidance for how to do what the puppy was trying to do. Nurturing: clearly she cares for her pup and encouraged his growth and development. Trust: she instilled trust in herself through her actions, which helped to allay the puppy's fears. Enthusiasm: through her guidance and nurturing, she expressed enthusiasm and the "you can do it" attitude. Accountability: she held herself responsible for modeling the behavior and actions she expected from her pup. Communication: she had her own special way of communicating with the puppy, to teach and to encourage. Helpful: she was there, by his side, ready to provide assistance when needed. When human leaders use these qualities and principles, they create a workplace and a culture that is beneficial to both employees and customers - and, ultimately, to the business and its shareholders. The cat's leadership style, on the other hand, is quite the opposite; there's no guidance or nurturing. All trust is gone, especially after that little push. As an employee, have you ever felt like you've been set free, even pushed over the edge, while leadership stands idly by, observes, denigrates, and does nothing to prepare you for what's to come? In which environment would you rather work? Which is your leadership style? The dog's or the cat's?